M.P.H. 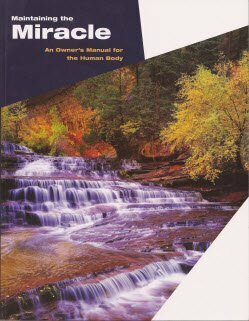 Ted D. Adams Ph.D.
Stephen R. Covey called Maintaining the Miracle "a simple, practical, doable roadmap for a great and healthy life." Check out this easy-to-understand guide for taking care of your body at any stage in life, and learn about the five R's of a healthy lifestyle - Refuel, Regenerate, Relax, Rest and Regulate. This book has everything you need to get started on the road to long-term health.